No doubt about it. Virtual reality isn’t just for gamers and gadget geeks anymore. In fact, as the technology gets better and cheaper, VR is the wave of the future when it comes to creating a truly memorable and effective learning experience – and for good reason. Multiple Learning Attributes. To begin with, it empowers us to create any number of safely immersive virtual learning environments that feel and respond much as they would in real life, as students engage and explore, interact with and manipulate objects within these worlds. Imagine teleporting your students to re-enact historic battles; explore outer space; or travel the inner workings of the human body. What’s more, using sophisticated controls, they can actually “practice” complex procedures like cardiac surgery, or master difficult concepts, such as the molecular properties of brain cells. Likewise, VR gives new meaning to the term “field trip,” by enabling students to virtually experience first-hand some of the world’s great museums, natural wonders and notable landmarks. 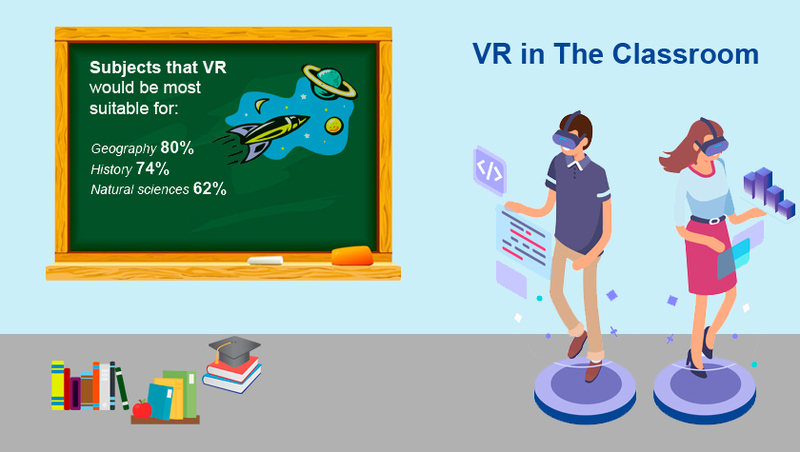 You can also embed 360-degree objects within the virtual classroom to support course content, much as Drexel University Online is doing after assembling its one-of-a-kind VRtifacts+ repository. And you can use it to live-stream events, guest lectures and campus tours, in addition to hosting virtual community spaces where learners can meet and connect in a seemingly “real” environment. Robert Currie discusses the mobile phone’s role in education, and how thanks in part to AR and VR it should now be considered a top tool. With a focus on how the AVR Platform can best be used in the education world, EON Reality’s discussion, ‘Augmented and Virtual Reality in Education: The Shift to Classroom 3.0,’ highlighted Wednesday’s offerings with a full presentation and hands-on demos of the new tools in Creator AVR. Over the course of both days, visitors filled the EON Reality booth to get their own one-on-one experience of Creator AVR, Virtual Trainer, and the ways in which AR Assist can help out in the classroom. The AVR Platform’s three products are the fundamental tools of EON Reality’s Classroom 3.0 vision for the Immersed Flipped Classrooms of the future. With Creator AVR — a SaaS-based learning and content creation solution — leading the way, the AVR Platform empowers Classroom 3.0 by providing teachers and educators of all types with the tools needed to create Augmented and Virtual Reality learning modules. Bringing Asian educators from all over the continent together, EON Reality’s presence at EduTECH showed just how significantly Augmented Reality and Virtual Reality can elevate the overall educational experience going forward. After two full days of demonstrations, EON Reality introduced the AVR Platform to approximately 1500 teachers, school administration officials, and other decision-makers in Asia’s education industry. As the AVR Platform expands to educational markets around the world, EON Reality’s revolutionary spin on traditional learning branches into new cultures and nations. With local Singaporean educational institutions like Temasek Polytechnic already onboard, the EduTECH Asia 2018 conference marked the continued spread of Classroom 3.0 and the AVR Platform on both a regional and global level. Indiana University explores that question by bringing together tech partners and university leaders to share ideas on how to design classrooms that make better use of faculty and student time. Deliver these features through a simple, user-friendly and reliable room/technology interface. What else can we do to create the classroom of the future? What current technology exists to solve these problems? What could be developed that doesn’t yet exist? Though many peoples’ — including faculty members’ — eyes gloss over when we start talking about learning spaces and smart classrooms, it’s still an important topic. 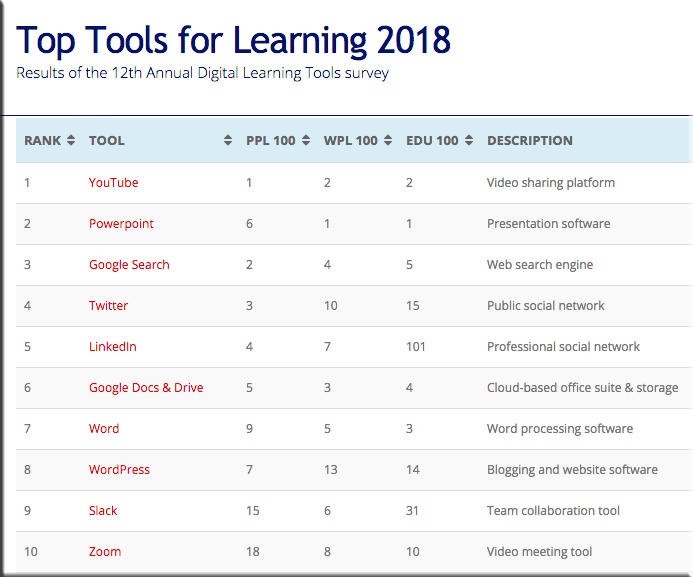 Personally, I’d rather be learning in an engaging, exciting learning environment that’s outfitted with a variety of tools (physically as well as digitally and virtually-based) that make sense for that community of learners. 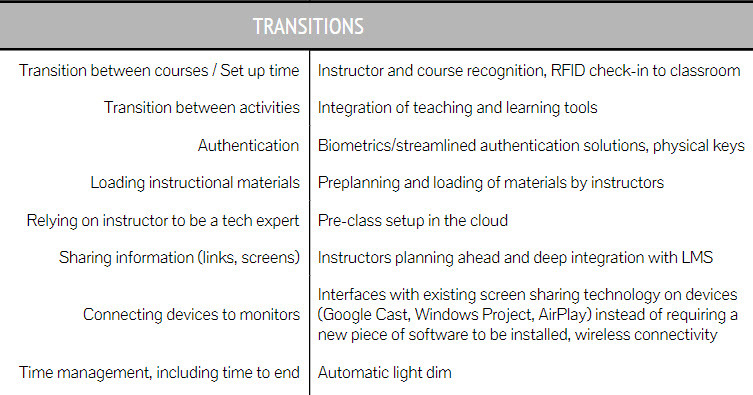 Also, faculty members have very limited time to get across campus and into the classroom and get things setup…the more things that can be automated in those setup situations the better! I’ve long posted items re: machine-to-machine communications, voice recognition/voice-enabled interfaces, artificial intelligence, bots, algorithms, a variety of vendors and their products including Amazon’s Alexa / Apple’s Siri / Microsoft’s Cortana / and Google’s Home or Google Assistant, learning spaces, and smart classrooms, as I do think those things are components of our future learning ecosystems. 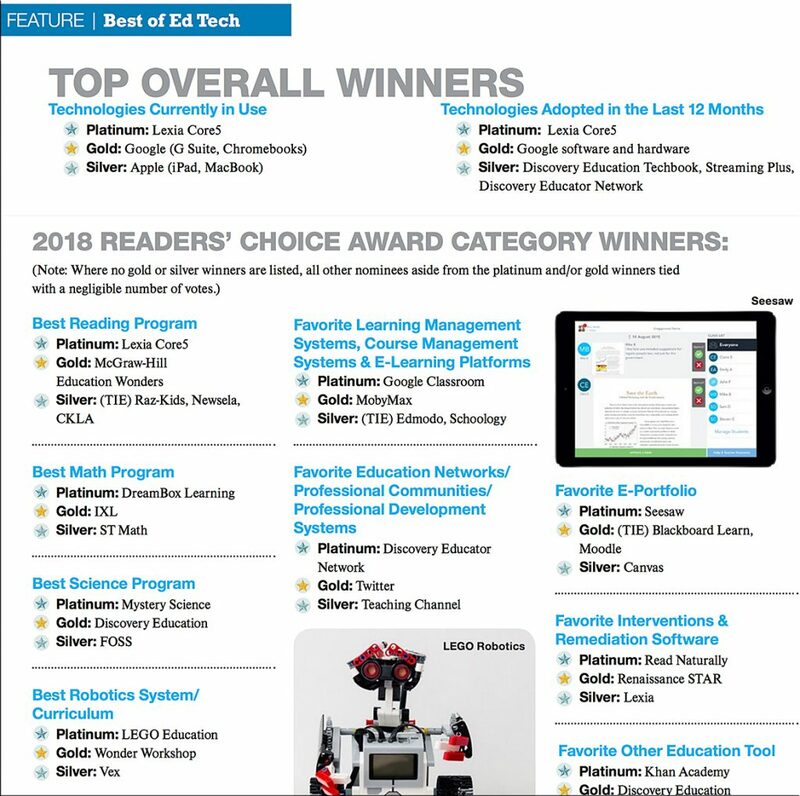 In our third-annual ed tech survey, teachers reveal an overwhelmingly positive attitude toward tech in the classroom and its impact on teaching, learning and professional development. Teachers are growing fonder of technology every year. Even the dreaded mobile phone is gaining acceptance as a classroom tool, at least among those who participated in THE Journal’s third-annual Teaching with Technology Survey. 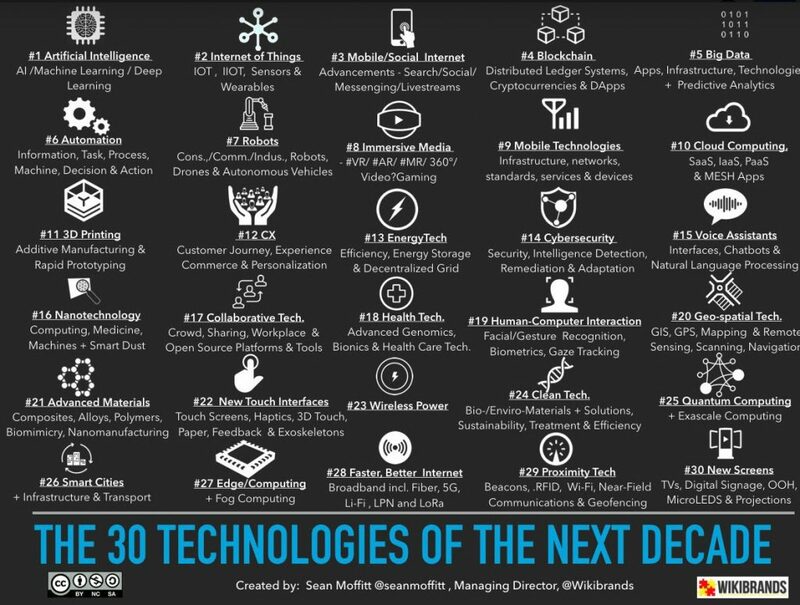 While teachers in each of the preceding survey were, for the most part, pumped up about tech for learning, this year’s results reveal an evolving positivism not just about tech, but about the direction tech is heading. Exactly three-quarters of teachers in the survey indicated tech has had an extremely positive (38.37 percent) or mostly positive (36.63 percent) impact on education. The remaining 25 percent said tech has had both positive and negative effects on education. Zero respondents said tech had a negative or extremely negative impact. Responses about tech’s impact on student learning were similar, with 84 percent saying it’s had a positive impact, 6 percent saying it’s had a negative impact and 10 percent being neutral. Lehi, UT, May 29, 2018 (GLOBE NEWSWIRE) — Today, fast-growing augmented reality startup, Seek, is launching Seek Studio, the world’s first mobile augmented reality studio, allowing anybody with a phone and no coding expertise required, to create their own AR experiences and publish them for the world to see. With mobile AR now made more readily available, average consumers are beginning to discover the magic that AR can bring to the palm of their hand, and Seek Studio turns everyone into a creator. To make the process incredibly easy, Seek provides templates for users to create their first AR experiences. As an example, a user can select a photo on their phone, outline the portion of the image they want turned into a 3D object and then publish it to Seek. They will then be able to share it with their friends through popular social networks or text. A brand could additionally upload a 3D model of their product and publish it to Seek, providing an experience for their customers to easily view that content in their own home. Seek Studio will launch with 6 templates and will release new ones every few days over the coming months to constantly improve the complexity and types of experiences possible to create within the platform. Apple unveiled its new augmented reality file format, as well as ARKit 2.0, at its annual WWDC developer conference today. Both will be available to users later this year with iOS 12. The tech company partnered with Pixar to develop the AR file format Universal Scene Description (USDZ) to streamline the process of sharing and accessing augmented reality files. USDZ will be compatible with tools like Adobe, Autodesk, Sketchfab, PTC, and Quixel. Adobe CTO Abhay Parasnis spoke briefly on stage about how the file format will have native Adobe Creative Cloud support, and described it as the first time “you’ll be able to have what you see is what you get (WYSIWYG) editing” for AR objects. With a starting focus on University-level education and vocational schools in sectors such as mechanical engineering, VivEdu branched out to K-12 education in 2018, boasting a comprehensive VR approach to learning science, technology, engineering, mathematics, and art for kids. Apple hopes to take augmented-reality gaming to the “next level” with multiplayer apps. The company used its developer’s conference to showcase Lego and slingshot games, built using its new and improved AR building software ARKit 2. The Lego game allows you to create virtual worlds around your real-life Lego builds. To fully realize the potential will require a broad ecosystem. Adobe is partnering with technology leaders to standardize interaction models and file formats in the rapidly growing AR ecosystem. We’re also working with leading platform vendors, open standards efforts like usdz and glTF as well as media companies and the creative community to deliver a comprehensive AR offering. usdz is now supported by Apple, Adobe, Pixar and many others while glTF is supported by Google, Facebook, Microsoft, Adobe and other industry leaders. 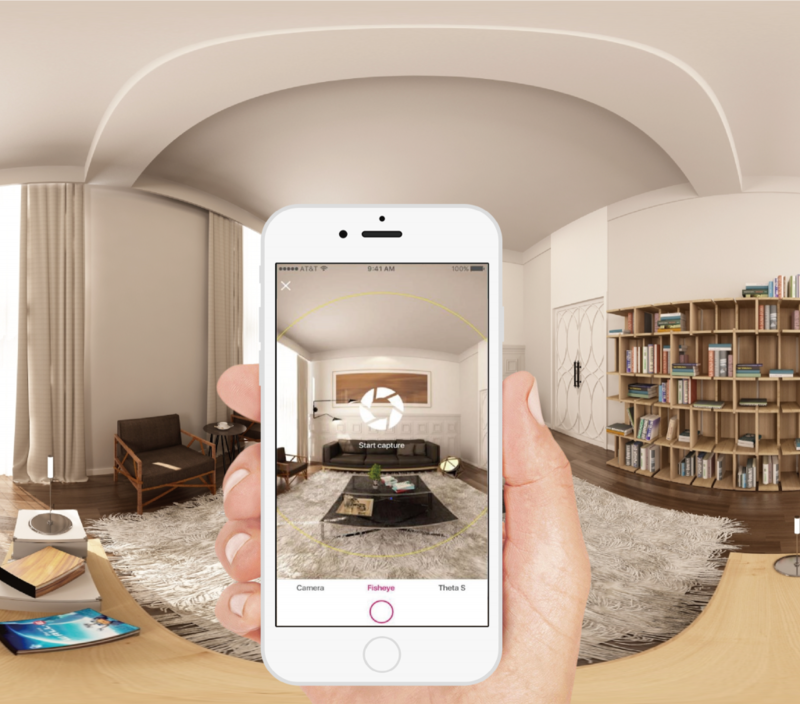 Virtual tour app utilises ARKit technology to easily create floor plans. There are a number of professionals who would find the ability to quickly and easily create floor plans to be extremely useful. Estate agents, interior designers and event organisers would all no doubt find such a capability to be extremely valuable. For those users, the new feature added to iStaging’s VR Maker app might be of considerable interest. The new VR Maker feature utilises Apple’s ARKit toolset to recognise spaces, such as walls and floors and can provide accurate measurements. By scanning each wall of a space, a floor plan can be produced quickly and easily. I’ve interviewed nine investors who have provided their insights on where the VR industry has come, as well as the risks and opportunities that exist in 2018 and beyond. We’ve asked them what opportunities are available in the space — and what tips they have for startups. Augmented reality (AR) hasn’t truly permeated the mainstream consciousness yet, but the technology is swiftly being adopted by global industries. It’ll soon be unsurprising to find a pair of AR glasses strapped to a helmet sitting on the heads of service workers, and RealWear, a company at the forefront on developing these headsets, thinks it’s on the edge of something big. What’s most impressive about the RealWear HMT-1Z1 is how you control it. There’s no touch-sensitive gestures you need to learn — it’s all managed with voice, and better yet, there’s no need for a hotword like “Hey Google.” The headset listens for certain commands. For example, from the home screen just say “show my files” to see files downloaded to the device, and you can go back to the home screen by saying “navigate home.” When you’re looking at documents — like schematics — you can say “zoom in” or “zoom out” to change focus. It worked almost flawlessly, even in a noisy environment like the AWE show floor. David Scowsill‘s experience in the aviation industry spans over 30 years. He has worked for British Airways, American Airlines, Easy Jet, Manchester Airport, and most recently the World Travel and Tourism Council, giving him a unique perspective on how Augmented and Virtual Reality (AVR) can impact the aviation industry. These technologies have the power to transform the entire aviation industry, providing benefits to companies and consumers. From check-in, baggage drop, ramp operations and maintenance, to pilots and flight attendants, AVR can accelerate training, improve safety, and increase efficiency. London-based design studio Marshmallow Laser Feast is using VR to let us reconnect with nature. With headsets, you can see a forest through the eyes of different animals and experience the sensations they feel. Creative Director Ersinhan Ersin took the stage at TNW Conference last week to show us how and why they created the project, titled In the Eyes of the Animal. Have you already taken a side when it comes to XR wearables? Whether you prefer AR glasses or VR headsets likely depends on the application you need. But wouldn’t it be great to have a device that could perform as both? As XR tech advances, we think crossovers will start popping up around the world. A Beijing startup called AntVR recently rocketed past its Kickstarter goal for an AR/VR visor. Their product, the Mix, uses tinted lenses to toggle between real world overlay and full immersion. It’s an exciting prospect. But rather than digging into the tech (or the controversy surrounding their name, their marketing, and a certain Marvel character) we’re looking at what this means for how XR devices are developed and sold. Google is bringing AR tech to its Expeditions app with a new update going live today. Last year, the company introduced its GoogleExpeditions AR Pioneer Program, which brought the app into classrooms across the country; with this launch the functionality is available to all. Expeditions will have more than 100 AR tours in addition to the 800 VR tours already available. Examples include experiences that let users explore Leonardo Da Vinci’s inventions and ones that let you interact with the human skeletal system. At four recent VR conferences and events there was a palpable sense that despite new home VR devices getting the majority of marketing and media attention this year, the immediate promise and momentum is in the location-based VR (LBVR) attractions industry. The VR Arcade Conference (April 29th and 30th), VRLA (May 4th and 5th), the Digital Entertainment Group’s May meeting (May 1), and FoIL (Future of Immersive Leisure, May 16th and 17th) all highlighted a topic that suddenly no one can stop talking about: location-based VR (LBVR). With hungry landlords giving great deals for empty retail locations, VRcades, which are inexpensive to open (like Internet Cafes), are popping up all over the country. As a result, VRcade royalties for developers are on the rise, so they are shifting their attention accordingly to shorter experiences optimized for LBVR, which is much less expensive than building a VR app for the home.